Digital Rights Watch has warned of an increasingly hostile digital rights environment in which Australian citizens risk having their human rights eroded, unless a radical rethink of government policy is implemented. “The landscape of human rights has drastically changed over the past few decades, with technological leaps providing incredible leaps in accessibility, connectivity and equality. 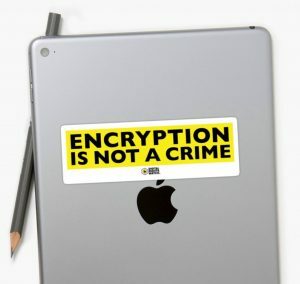 But the flipside of this is an increase in governments seeking to surveil, control and intervene in the private online lives of citizens,” said Digital Rights Watch Chair Tim Singleton Norton. The human rights group’s warnings come as digital specialists, privacy experts, representatives of the tech industry and government come together in Sydney for the RightsTechAU conference, hosted by the Australian Human Rights Commission. The event includes the launch of a national consultation into human rights and technology, led by Human Rights Commissioner Ed Santow. “It is very welcoming to see the Human Rights Commissioner take such a serious stance on the intersection of technology and human rights. We look forward to working with Mr Santow’s office through the consultation and ensuring that human rights are defended and upheld in online spaces,” said Mr Singleton Norton. In May 2018, Digital Rights Watch released the State of Digital Rights report, which outlines the many ways Australians’ rights are being impacted by the activities of private companies and governments in the online world as well as making clear recommendations for policy makers to adopt.